To ensure compliance to the relevant Electricity Safety Acts, Regulations and Codes of Practice, Companies are required to have in place a system of isolation to provide personal protection for employees and protection of company property. Personal Danger Tags are a primary notification that someone is continuing to work on a piece of equipment and their individual safety will be at risk if the equipment was de-isolated. As an addition service, Jamestech has the capability to print hard card passport tags. Jamestech can print any configuration of tags, personalised for each employee / site requirements with information that can be specifcally designed for a certain site, specific project or shutdown. Example Tag (85mm x 54mm). 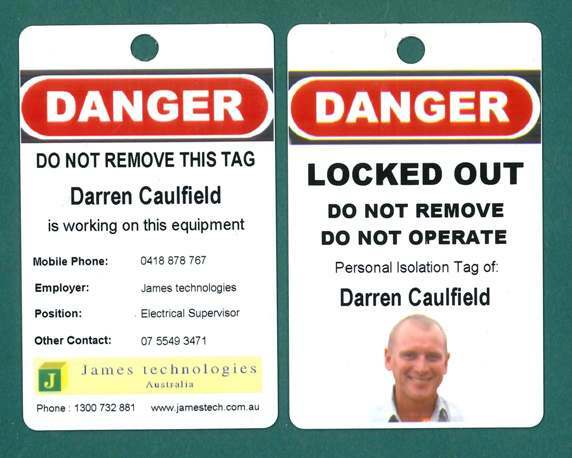 Please contact any of the Jamestech staff and we will be very pleased to provide a costing to have personalised danger tags provided for your employees. We look forward to assisting with your project. Jamestech again enjoyed attending the Mine Electrical Safety Assoc. Conference 2012, 4th – 6th July, held at the Sebel & Citigate, Brisbane. The MESA Conference is a must attend for Electrical personnel working in the Mining Industry. It is an invaluable source of information regarding Electrical Safety and Standards and an opportunity to speak directly with others regarding issues within our Industry. 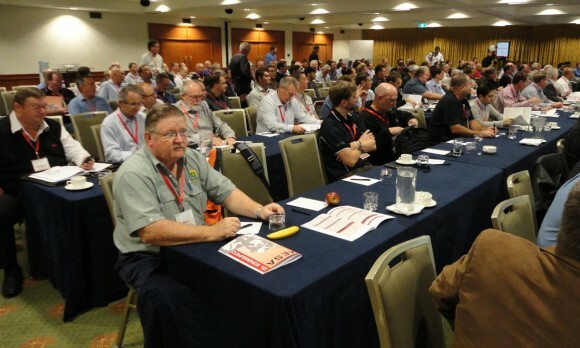 Technical sessions included: updates to the Australian Standards, The latest requirements for Lighning and Earthing, National Electrical Licensing updates, Variable speed drives, Power Tools and many other interesting and relevent topics. 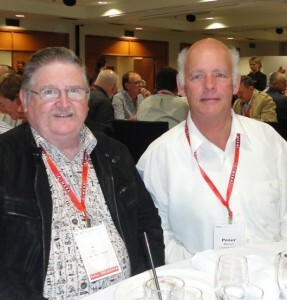 Jamestech thanks Ken Innes and all of the Mining Electrical Safety Committee for organising such a great event for our Industry.